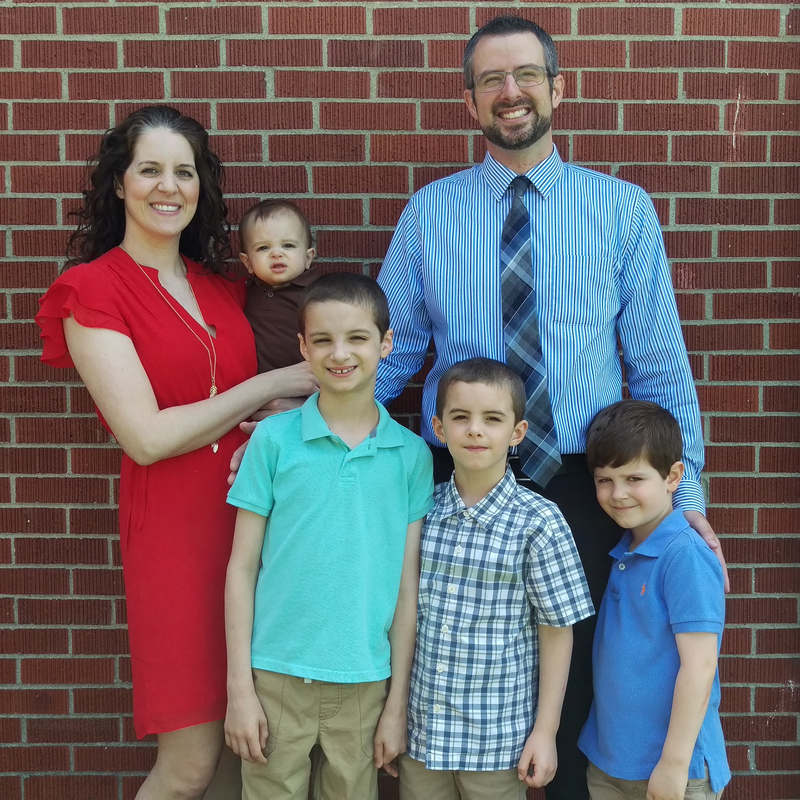 Pastors, Want to Love Your Wife and Family? In this 9Marks article, pastors can read about 30 practical ways to love their wives and families. This page has a litany of sites to improve a writer’s craft. On Thursday July 14, 2011, I had the privilege of being interviewed on The Janet Mefferd Show, a conservative Christian radio show based in the Dallas area. 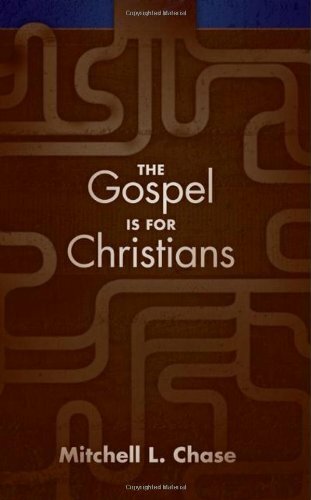 The subject of the interview was my book, The Gospel Is For Christians, published last year by Lucid Books. On the air, we discussed the content of the gospel, the importance of God’s wrath, biblical repentance, preaching the gospel to yourself, the gospel in church ministry, and the gospel in missions. The interview link is here. Thanks for listening! In this fourth installment of our walk through Psalm 24, we arrive at v. 4. David has just posed the question of who can abide in the presence of God and offer true worship (v. 3). Now David gives the answer to this burning question. Let’s observe that David gives two positive phrases followed by two negative phrases. The worshiper of Yahweh, then, has things that are true about him, as well as things that can’t be attributed to him. The center of this arrangement indicates David’s emphasis: the inward disposition of the person matters most. Yahweh rejects vain worship, which is worship offered when the heart is far from him (Matthew 15:8-9). Outward acts of obedience honor God when they overflow from a heart that trusts him. To “not lift up” one’s soul to “what is false” means to reject idolatry and entrust one’s soul to the only true God. Belief in Yahweh results in obedience to him. The requirements of clean hands and truthful mouths refer to relations with one’s neighbor. Clean hands are innocent of wrongdoing toward others, and a truthful mouth refers to someone who has not deceived his neighbor or broken an oath. Now consider the fact that both trusting God rather than idols and maintaining honest relations with others refer to the Law of Moses represented by the Ten Commandments. Right relations with God and neighbor are, in fact, how Jesus summarized the Law and the Prophets (Matthew 22:36-40). What, in essence, are the requirements cited by David for the one who goes before God? God receives those who keep his law, those who trust him with their heart and then demonstrate their faith with obedience. But here’s the reality: we have all broken God’s law. We have often given our hearts to created things and thus are guilty of idolatry. And we have treated others with dishonesty and disdain. In the mirror of God’s law, our hearts aren’t pure and our hands aren’t clean. We are guilty, corrupt, condemnable. If we come to God on any merit of our own, we fall short of his glory and cannot stand in his presence. He is holy, but we are not. Our faith frequently falters, and our flesh is weak. The meaning of Psalm 24:4 is not ultimately fulfilled in us. Only one Person in history could go before God with clean hands and a pure heart, Someone who never committed idolatry and who always acted with purity and integrity toward others. Only one Person has ever ascended the hill of Yahweh and boldly entered the holy place on the basis of his own merits. But more on Him later. Psalm 24 has a threefold structure which exalts God as Creator (vv. 1-2), as holy (vv. 3-6), and as King (vv. 7-10). In our 10-part series of this Davidic psalm, we now arrive at v. 3. In parallel fashion, the “hill of the LORD” and “his holy place” both refer to Jerusalem, which was the city on a hill and the place of temple. Granted, when David wrote this psalm, the temple wasn’t yet constructed, but the ark of God had entered the city nonetheless (2 Samuel 6:12-19). The verbs “ascend” and “stand” evoke the picture of pilgrims approaching Jerusalem for the purpose of worship. The questions pertain to the kind of person who can approach the presence of God. In fact, these two parallel questions are really asking one: given that God owns all and made all (v. 1), who can stand before him? That question might surprise you, perhaps even seem out of place. After all, wasn’t David talking about God establishing the world upon the seas? Now, suddenly, we’re reading about a pilgrimage to Jerusalem, the city on a hill. But the questions in v. 3 aren’t out of place. In fact, the Bible holds together God’s role as Creator and his worthiness to be worshiped by what he made (Psalm 148:5). Since Yahweh alone made the heavens and earth, his right to be worshiped extends throughout his creation. But something has gone wrong in the world–and in us. God’s eternal power and divine nature have been evident in his mighty works (Romans 1:20), but we have exchanged the worship of God for the worship of images, of idols, of creation (Romans 1:23). Since God is not rightly worshiped by his creatures, the question must be asked by the psalmist: who can stand in the presence of God? With whom does Yahweh fellowship? Who can come before God and live to tell about it? In Psalm 24, vv. 1-2 teach that God is the Creator. While v. 1 asserts his ownership of all things, v. 2 makes explicit his creation of the world. David, the psalm’s author, states the reason for the truth of v. 1. God owns everything (“The earth is the LORD’s and the fullness thereof”) because he made everything. In David’s reasoning, God is Owner because he is Maker. The verbs David uses are important, because he doesn’t simply say God “created.” Instead we see the words “founded” and “established,” parallel terms which call to mind a firmly built structure–like a temple, perhaps. In fact, several texts portray the cosmos as a temple of sorts, a building established by God. The heavens are like a tent stretched out by God (Psalm 104:2). Job heard God describe creation with the vocabulary of architecture and construction (Job 38:4-6). God claimed to spread the heavens like a curtain in order to dwell there (Isa 40:22). In a significant sense, then, the world is God’s dwelling place, his cosmic temple. God made this world “upon the seas” and “upon the rivers,” again parallel phrases. Now think about the nature of this underlying material: is there anything less stable than water on which to build a lasting structure? It seems like such a building would be vulnerable to damage, if not total collapse. In the ancient Near Eastern worldview, water was a picture of chaos where disorder reigned. In pagan myths, the gods struggled to bring order upon the unruly depths. Perhaps, then, David’s words are a rebuke of contemporary pagan philosophies of creation and stories of struggles between gods. The point is this: the one true God, Yahweh, owns all things because he made all things. He established order upon the least likely of surfaces, asserting his authority and displaying his power. Who, then, is like the Lord? He alone founded the world and dwells in his creation (he is, after all, omnipresent), while remaining distinct from his creation. Heaven is his throne and earth is his footstool (Isaiah 66:1). And although he is pleased to dwell in his cosmic temple, not even the highest heavens can contain him (2 Chronicles 6:18). 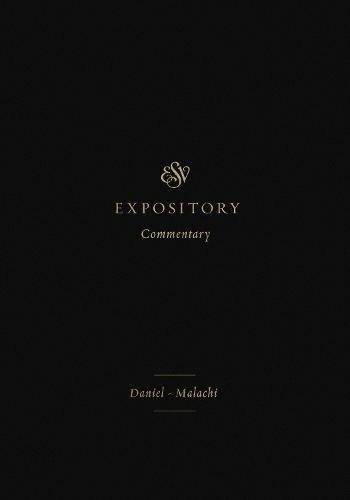 The superscription says the psalm is “of David,” its author. In the Hebrew text, Yahweh’s name appears first for emphasis. It is to Yahweh that the earth belongs, to him and to no other. In the ancient world, pagans ascribed existence and power to many gods who ruled over various parts of the world. Different gods commanded the sea, the weather, fertility, etc. So David makes his point clear: God rules the earth as the sole Lord of his creation. And as Ruler, he has no comparable rivals, no legitimate competitors. David uses terms of totality: “the earth” is paralleled by “the world” in the second half of the verse, and “the fullness thereof” is paralleled by “those who dwell therein.” Those phrases don’t omit anything in creation. 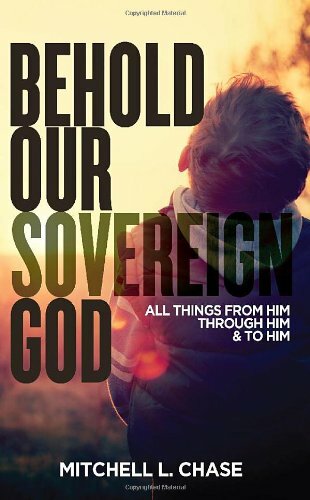 And if God owns all creation, then he owns us, as David emphasized in the last phrase of v. 1. The conclusion is inescapable: we do not belong to ourselves. We are dependent on him–for everything.